TPC Stonebrae - Hayward, CA — PJKoenig Golf Photography PJKoenig Golf Photography - Golf Photos For Those Who Love The Game. Designed by Scottish golf architect, David McLay Kidd and located 1500 feet above the East Bay on Walpert Ridge, TPC Stonebrae offers some dramatic views of Mt. Tamalpais, Mt. Diablo and even San Francisco. The course itself plays to a par 72 at 7200 yards. Kidd has done a great job of naturally incorporating the topography's sweeping views and rolling grasslands into many of the golf holes. The course played host to the 2015 Web.com Tour's TPC Stonebrae Championship. 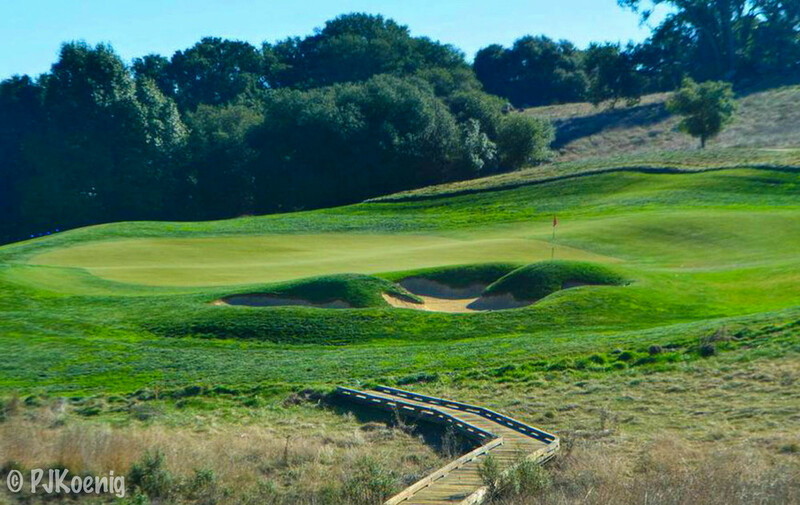 The course is private, so If you are ever invited to play, grab your clubs and get out there! TPC Stonebrae is one of the best private clubs in the bay area.